Vancouver, BC, April 19, 2018 – Fairfield Inn & Suites® St. John’s was recently awarded the 2017 Silver Hotel Award, which recognizes hotels for their exceptional achievements and outstanding contributions. This Newfoundland hotel is a consistent top performer, earning them the Gold Hotel Award in 2015 and the Silver Hotel Award in 2016 and 2017. “Earning the Silver Hotel Award is a testament to the ongoing commitment of our team to ensure all of our guests have a memorable stay. We are incredibly proud of this team for their outstanding contributions and dedication to service excellence,” says Ann Marie Reddy, General Manager, Fairfield Inn & Suites® St. John’s. 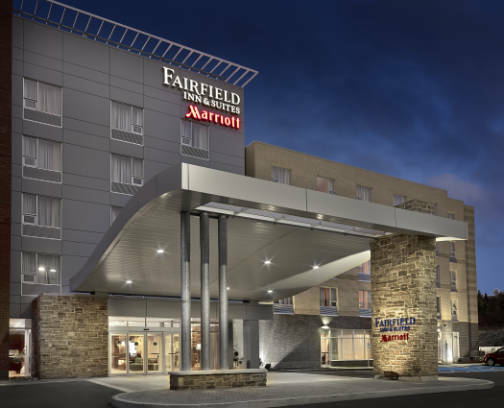 For 2017, Fairfield Inn & Suites® St. John’s placed in the top 15% of hotels within North America, and finished as the #3 hotel in Canada. The hotel continued their achievements by receiving the #1 spot in Canada for Check-in Experience with 87.6% and #1 in Canada for Staff Service Overall with 89.2%.